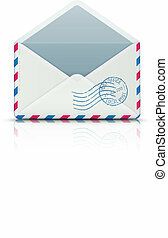 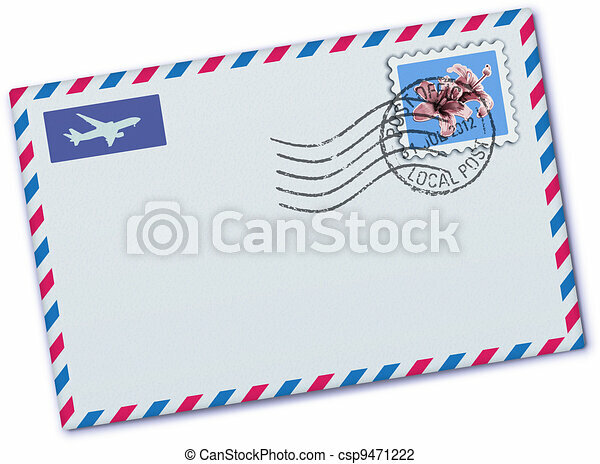 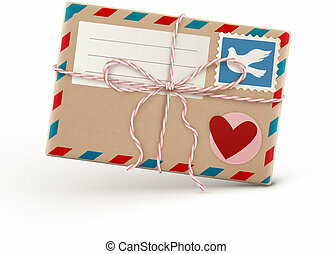 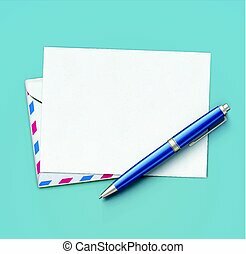 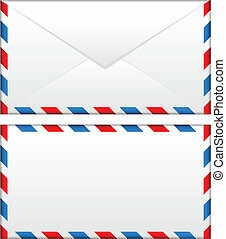 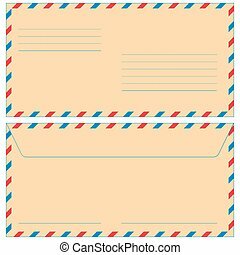 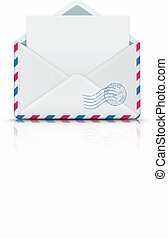 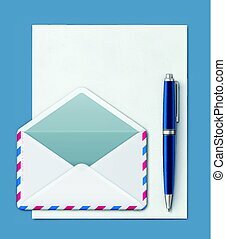 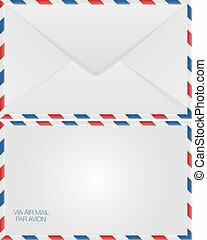 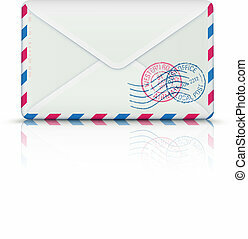 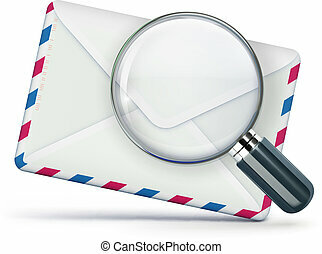 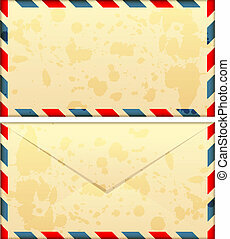 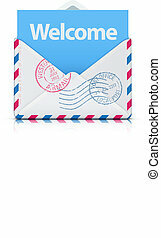 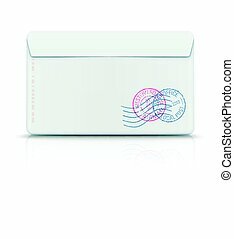 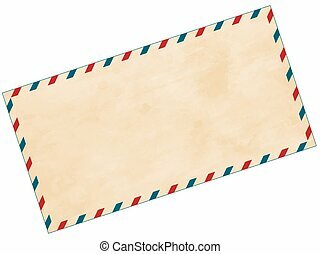 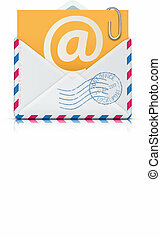 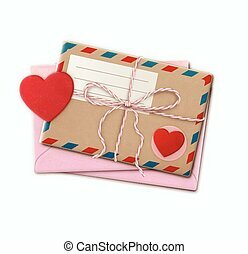 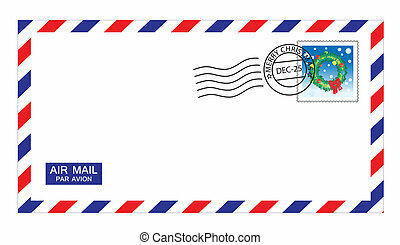 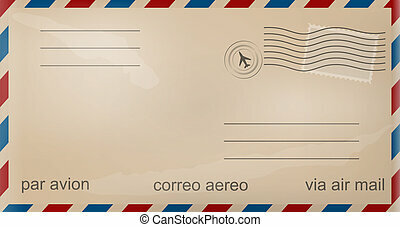 Vector illustration of blank airmail envelope with stamp and rubber stamp. 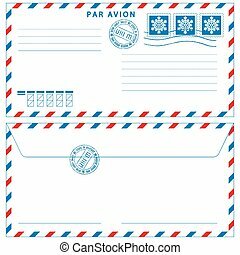 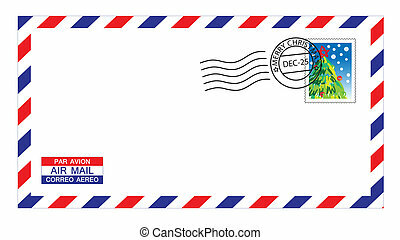 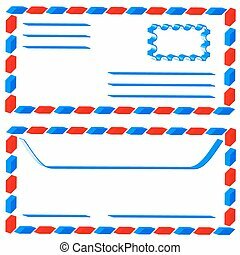 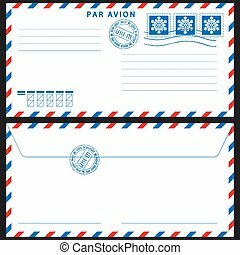 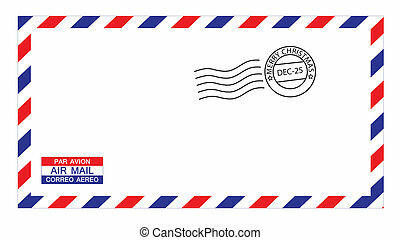 illustrations of airmail envelope with christmas stamps and post mark. 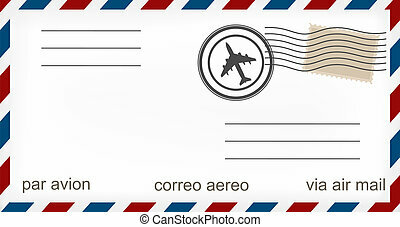 illustrations of airmail envelope with christmas postmark, put your own stamp.